A social media platform with 1 billion users. Could you guess which one it is? Instagram of course! If all the above sounds intimidating, I guess you are right. How can someone stand out in an ocean of posts? How can someone deliver their message to the world? When someone for the first time uses Instagram, they may feel lost in a vast desert of images, information, users, details and different options! In this post I aim to guide you through some of the information you must absolutely know to start using Instagram for promoting your project/business/brand/self in a professional, serious, efficient way. It all comes down to the reason you wish to use Instagram and the goal you want to accomplish. If you wish to use Instagram to get out in the open, to share you vision &/or project, and to communicate with your users/community/friends .. then this post is for you! -2- When should you use Instagram? Users from all around the world use the Instagram app. 55% of them are 18 to 29 years old, while the next largest age group is between 30 - 49 years old. If you wish to share your message with the world, you can/should/must use Instagram. -3- How can you create an Instagram account? To follow / comment / like (upvote) you can also use your browser if you log in your account. -5- If you are using Instagram for promotional reasons .. I would suggest to do it in a professional manner. Strategy is difficult to be explained in a short steemit post. However there are certain elements to keep in mind and specific actions that you can take. Who are you? What is the message you wish to convey? What would be the best way to tell your audience who you are? Who is your audience? What are they interested about? Who are your competitors? Take a look at what they are doing but do not copy them, instead be inspired, take some ideas and move forward towards your vision. Create content calendars and check out how different content categories perform. Socialize with other Instagram users. You are using a social media platform. You cannot expect everyone to discover and interact with your first. -7- Insta-algorithms, Insta-Experts, Monetize my Instagram .. say what? Instagram is a centralized platform and all the users should adhere to its policies. There are many cases of blocked users or reported posts who did not follow the guidelines or used automated tools to get extra followers and likes. Be careful of who you trust to have access to your Instagram account and make sure you know what kind of strategies they are using for growing your account. If you are thinking of monetizing your account, you need to know that it is not easy. It takes devotion, consistency, time and great effort. You can see here a success story and think if you have something unique, different, magnificent and impressive to present! Instagram? You probably need to have an account! Your target group, unless they live in Mars, are already using the app, so why not connect with them? Make sure you have a business profile and a Facebook page (connect the two) to start building your following. Think over your message, convey it to content, think of your goals and write down your plans. Keep in mind that as your audience grows, so will the time needed for you to update and support them. I absolutely recommend that you try out the 'Instagram equivalent decentralized applications on the steem blockchain'! You can use them complementary to your content strategy and be connected with the Blockchain users around the world. Visit, Explore & Try out @steepshot and @appics for some extra inspiration! Original Content 2018 by Katerina Ramm - Thank you for visiting! Some Extra Resources for you! What a surprise. For a long time, Instagram has been acknowledged but not favoured because it is more difficult to track the traffic and engagement. Anyway, I like that you brought this means to the light. 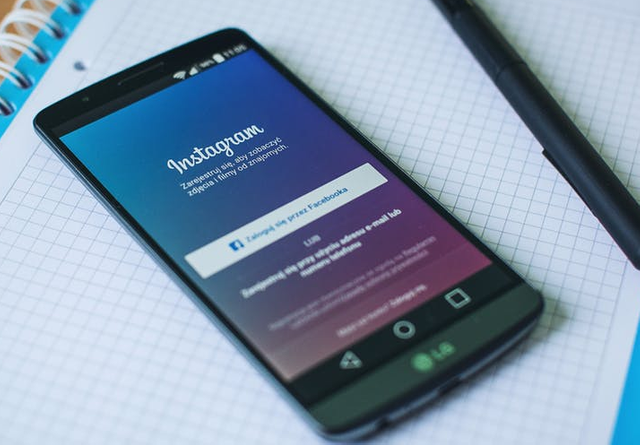 Although the post is filled with general information for readers to understand what Instagram is and essential tips to start with a successful account, I couldn't enjoy the post entirely. As I said above, I believe that reminding our community of different means of advertising and marketing is crucial. Though, I cannot leave out some criticism about the text. I am not a fan of the way you started. The brief data summary is a nice touch. Though, I would suggest that you start with a short paragraph with a regular text accompanied by the bullet-point list. Furthermore, it looks like you sometimes forget a character here and there. We'll see more of it below. I would suggest writing and instead of &. I didn't find the current use appropriate and would recommend you avoid using it in such situations. Throughout the text, I encountered many times that you miss writing a dot at the end of a sentence. Sure, sometimes it is not needed. But it appears to me that you could not decide whether to put it there or not. Similarly with an ellipsis. As far as I can recall, an ellipsis should consist of three dots or be written as a special character. I would suggest that you keep the same style for additional notes. Let's take your Attention note and Please note. Their role is similar, and thus there is no need to make them different. There may be other issues that break your writing inconsistency. Anyway, don't take this comment as a sole criticism of the writing. Thank you for your valuable, constructive comments @espoem! Thank you for your review, @espoem! Keep up the good work! Thanks for the tips Katerina, very useful:) I created an instagram account to promote my artwork 4 years ago but it is so full of ads and bots these days that i rarely use it. If i will give it a try in the future i will make a business profile and connect to my fb page like you suggested. I never thought using Instagram in this way, and i don't know if i do it in the future. But this is a great and enlightening guide!! Ωραία ενημέρωση Κατερίνα...δε έχω και δέν το ξέρω.. I thought only open source projects were eligible for utopian contributions. That being said, the content is great and instagram is a powerful tool if used effectively. Thanks for the tips. However there are times that Open Source Project Owners wish to promote their project through traditional means of communications as well (such as Instagram). This is a post under the #iamutopian tag, aiming to bring further insights to the Visibility Category. Again, thank you for dropping by! Congratulations! Your post has been selected as a daily Steemit truffle! It is listed on rank 3 of all contributions awarded today. You can find the TOP DAILY TRUFFLE PICKS HERE. I upvoted your contribution because to my mind your post is at least 7 SBD worth and should receive 159 votes. It's now up to the lovely Steemit community to make this come true. Your UA account score is currently 4.520 which ranks you at #1909 across all Steem accounts. In our last Algorithmic Curation Round, consisting of 184 contributions, your post is ranked at #38.